TrueView Video format means different types of video ad that provide option for the viewers, the normal tendency is to skip the advertisement after five seconds. How many times have you started a video on YouTube and come across an ad at the beginning that you would rather skip than watch? Or you would rather watch than skip? If you have ever wondered how this works, then your answer is ‘TrueView’. TrueView is essentially a cost-per-view (CPV) ad format, which was designed and built by Google five years ago, as an intelligent means to make the user’s choice the center point of brand advertising. 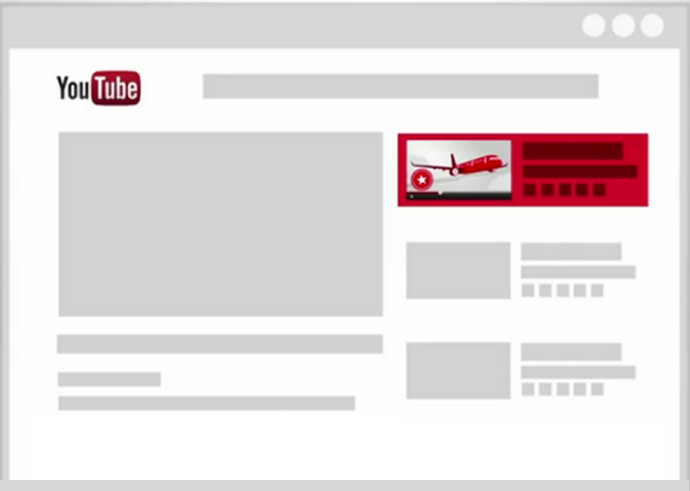 The choice-based ad format works on Google’s YouTube service, a plethora of apps, and even the web. TrueView is a great value-for-money service as advertisers only need to pay for actual views by users, rather than the ad’s simple existence. 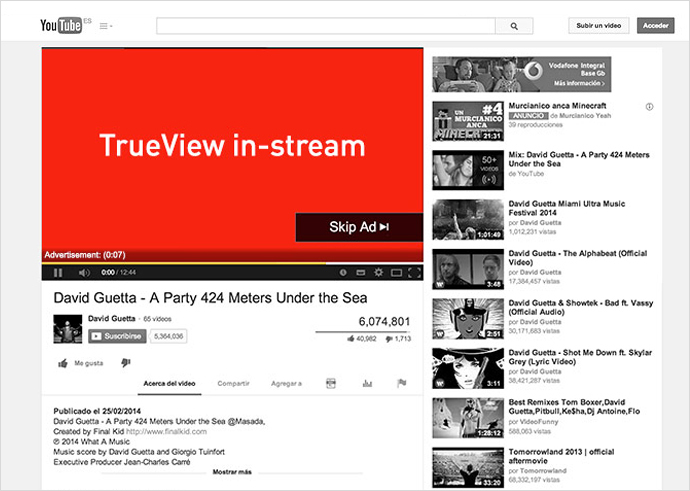 A highly popular ad option on YouTube, TrueView accounts for more than 85% of all the in-stream ads on the video streaming site. All those marketing agencies and individual marketers looking to use the TrueView choice-based video ad format on a cost-per-view (CPV) basis can now do so through DoubleClick Bid Manager. Up until now, TrueView was available exclusively with AdWords. If Google decides to make the service available to everyone, it will be beneficial to all the advertisers as they still get 5 extra seconds of brand visibility even if the viewer decides to skip the advertisement. Another reason TrueView is appealing to brands is that when viewers actively choose to watch these advertisements, it shows a higher level of intent on their part, rather than assuming that they were forced to watch the ads. In-stream ads play either before or during the YouTube partner video, which the viewers can choose to watch or opt out of after 5 seconds. In-display ads, on the other hand, play next to the YouTube videos, YouTube search results, and on the targeted websites by means of Google Display Network. With in-stream video ads, the viewer has the option to opt out i.e. skip the ad after 5 seconds. These ads appear on YouTube pages as well as on pages from video partners. The brand is charged when the viewer watches the complete duration of the video, or 30 seconds of it, or engages by liking it or any other means, whichever comes first. The duration of in-stream ads should not be more than 3 minutes; for ads that cannot be skipped, the duration must be less than 15 seconds. These videos have no maximum length. These videos appear on YouTube related videos, as part of YouTube search results, as a YouTube overlay, or on the partner sites. When the viewer clicks on the thumbnail to view the video, only then the brand is charged for the ad view. The ad appears depending on its size, format, and the formats that publishing websites support. Create shorter advertisements as the attention span of the viewers is becoming increasingly shorter. For example, if you can communicate your message in 15 seconds instead of 20, edit the ad. Creating multiple ads for the same brand campaign will better the chances of connecting to different audiences. You can change or modify the introduction, call-to-actions, from ad to ad to change viewer behaviour. Make your CTA unambiguous so that viewers can easily engage with the brand. Use fonts, colours, and design that complement your brand’s identity. Once you link the particular YouTube channel with the advertiser account, you gain access to more helpful features like CTA overlays, view video statistics, view engagement statistics, and create remarketing lists in Bid Manager, the advertiser’s account. How to link the YouTube Channel? The advertiser is provided a link to access the YouTube channel which allows the advertiser to view the CTAs, engagement stats, etc. However, linking a YouTube channel to advertiser’s account does not give the advertiser the privilege to add, remove, or modify videos on YouTube. Once you link your YouTube account and AdWords account, you can take your viewers’ activity into account to create specific lists to better retarget your video ads. These lists can be based on the ways viewers interact with the videos. For example, behaviours such as viewing your video, liking the video, or subscribing to your channel. How Can Instagram Add Value To Your Business?